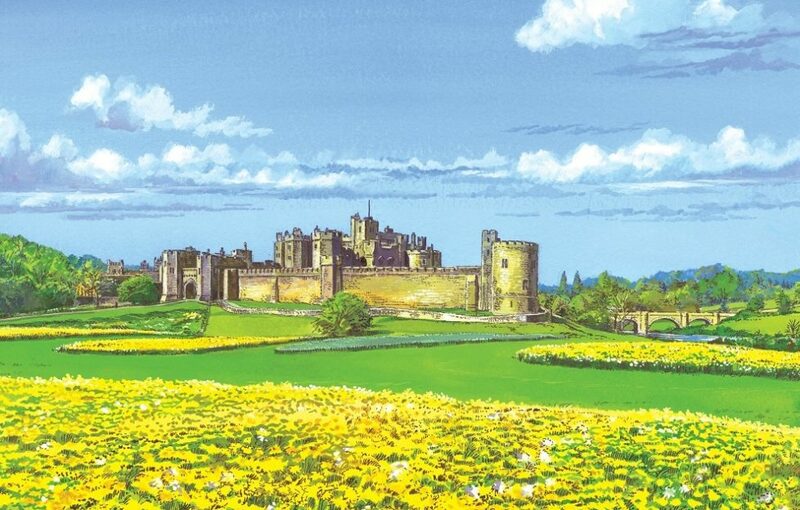 Such a gorgeous painting of Alnwick Castle on the cover this week – Morag Fleming’s there to discover some of its fascinating history. Not all of that history is as old as you’d expect, either, as it’s had a starring role in the “Harry Potter” films, Kevin Costner’s “Robin Hood: Prince of Thieves” and “Downton Abbey”. Alnwick Garden also sounds like a fascinating place – Morag’s booked a tour in the “poison garden”. You’ll have to read the feature to find out how she gets on! Marion has brought together some incredibly tempting cheesy recipes in the cookery this week. The Asparagus, Ricotta and Pancetta Pizza looks delicious. It’s not the only food to play a starring role in this week’s issue, either – turn to page 21 to find out why lentils are so incredibly good for you. It’s time for another catch-up with Emma and Hansie. Six months on (already?) and Hansie’s won an award. It means so much to Emma, and you can find out why on pages 44 and 45. The Pets As Therapy team will also be at Crufts, if you’re planning on heading along. If you want to say hello, find out more about where they are on the page. We’ve got a couple of interviews this week, as well. Merrill Osmond – of the famous Osmond family – chats to Lorraine Wilson, and author Margaret Dickinson is speaking to me about her new book, “The Brooklands Girls”, which we’ve got a coupon for so you can pick it up for just £2.99 at WHSmith. Morag Fleming is also in the issue on page 75, doing a wee piece for us on the Winter Words festival at Pitlochry. Never miss an issue with a subscription – now just £48 for a year if you pay be Direct Debit.